Research has shown that a small proportion of patients account for the majority of health care spending. 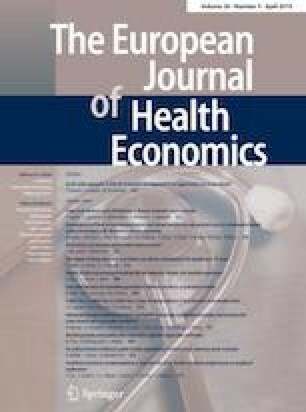 The objective of this analysis was to determine the amount and proportion of preventable acute care spending among high-cost patients. We examined a population-based sample of all adult high-cost patients using linked administrative health care data housed at ICES in Toronto, Ontario. High-cost patients were defined as those in and above the 90th percentile of the cost distribution. Preventable acute care (emergency department visits and hospitalisations) was defined using validated algorithms. We estimated costs of preventable and non-preventable acute care for high- and non-high-cost patients by category of visit/condition. We replicated our analysis for persistent high-cost patients and high-cost patients under 65 years and those 65 years and older. We found that 10% of all acute care spending among high-cost patients was considered preventable; this figure was higher for non-high-cost patients (25%). The proportion of preventable acute care spending was higher for persistent high-cost patients (14%) and those 65 years and older (12%). Among ED visits, the largest portion of preventable care spending was for primary care treatable conditions; for hospitalisations, the highest proportions of preventable care spending were for COPD, bacterial pneumonia and urinary tract infections. Although high-cost patients account for a substantial proportion of health care costs, there seems to be limited scope to prevent acute care spending among this patient population. Nonetheless, care coordination and improved access to primary care, and disease prevention may prevent some acute care. The online version of this article ( https://doi.org/10.1007/s10198-019-01051-4) contains supplementary material, which is available to authorized users. This study was conducted with the support of Cancer Care Ontario through funding provided by the Government of Ontario. Parts of this material are based on data and information provided by Cancer Care Ontario (CCO). The opinions, results, view, and conclusions reported in this paper are those of the authors and do not necessarily reflect those of CCO. No endorsement by CCO is intended or should be inferred. This study was supported by ICES, which is funded by an annual grant from the Ontario Ministry of Health and Long-Term Care (MOHLTC). The opinions, results, and conclusions reported in this article are those of the authors and are independent from the funding sources. No endorsement by ICES or the Ontario MOHLTC is intended or should be inferred. Parts of this material are based on data and/or information compiled and provided by the Canadian Institute for Health Information (CIHI). However, the analyses, conclusions, opinions and statements expressed in the material are those of the author(s), and not necessarily those of CIHI.